WHY USE THE MANATEE WRESTLING DUMMY? Use the Manatee for power training! 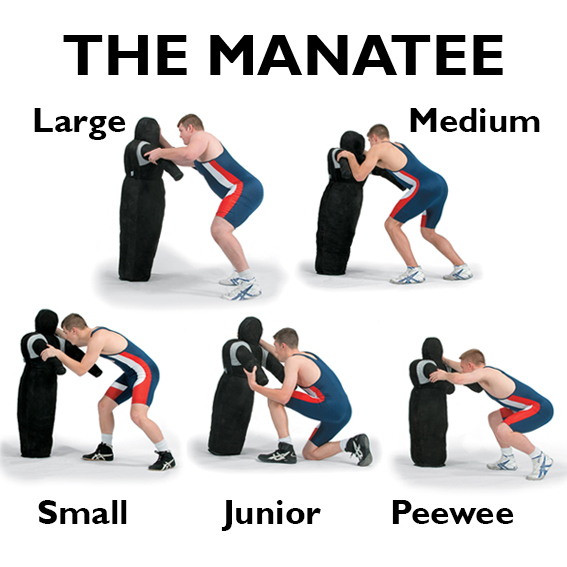 Use the Manatee to simulate wrestling lifts! Wrestles at: 150 to 189 lbs. Wrestles at: 103 to 149 lbs. Wrestles at: 70 to 102 lbs. Wrestles at: 40 to 69 lbs.